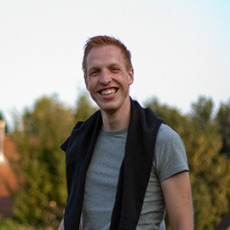 26‑08‑2016 Arnout Boks 9 min. Over the years, Scalable Vector Graphics (SVG) has become the de facto standard for vector images on the web. One of its disadvantages however is its verbose XML-based format, with relatively large file sizes as a result. Luckily, the plaintext nature of XML lends itself well to compression. The SVG standard reserves the .svgz-extension for gzip-compressed SVG files, which can typically achieve about 20-50% of the original file size. When not actively editing them, saving SVG files as svgz makes sense: it saves disk space, the compression is lossless and it spares the time needed for on-the-fly compression when serving them over the web. Serving compressed SVG files correctly from a web server takes some care however. It may seem strange that both .svg (plaintext SVG) and .svgz (compressed SVG) files are served with the same MIME type. The difference is in the Content-Encoding header, which combined with the Content-Type describes the type of content being served. In this case they distinguish between 'SVG, plain' and 'SVG, gzipped', i.e. a readable XML format or a bunch of binary gibberish. the server actually meant to present gzip-compressed SQL. The client should not decompress such content and probably offer to save the binary data as a .sql.gz-file. 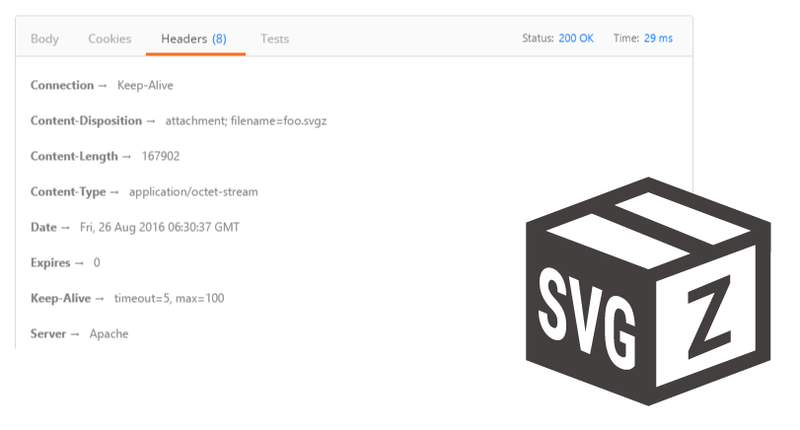 For .svgz files, this means that the client does not immediately decompress the content when received, but rather pass the compressed byte stream to the SVG viewer (which will then do the decoding itself). This poses a problem when serving .svgz-files for download (with Content-Disposition: attachment), e.g. to a user who clicks a download button in a filemanager-like application. In such a case, the user probably wants to end up with the compressed (binary) content of the .svgz-file on disk, not with a plaintext file with a .svgz-extension. However, due to the abuse of the Content-Encoding header described above, users expect other compressed file types to be saved in readable plaintext, so clients have a hard time to decide what to do. In an attempt to escape from this squeeze, most browsers implement some kind of guessing logic involving the extension of the downloaded file. This logic does not always yield the desired result however, especially when there is a custom filename parameter in the Content-Disposition header.